Dance Moms shot onto the reality television scene with a vengeance. It instantly grabbed our attention in the same way as Toddlers and Tiaras: we're half enamored and half horrified. While the shows feature many similarities, they are very different as well. In this post, we will compare Lifetime's freshman show with TLC's multi-season sensation. Toddlers and Tiaras and Dance Moms both have formulas that follow a format from episode to episode. In Toddlers and Tiaras, we meet the girls and their moms first, see their home lives and watch them practice. Then we head to competition, see the girls throw tantrums and compete. Finally, we see the pageant crowning. On Dance Moms, we learn about the dances for the upcoming competition, hear some mama drama, listen to a mom yelling or hear Abby Lee yelling, see the girls dance and see the awards presentation. The episode format for Dance Moms pretty much just gets to bypass the introductions we see each week on Toddlers and Tiaras because we already know the girls. This means we get more content and less filler. That is why the winner for the better overall flow is Dance Moms. The reason for this is that we have to see the introductions each week on Toddlers and Tiaras, and when the girls just aren't interesting, this part can get choppy and boring. 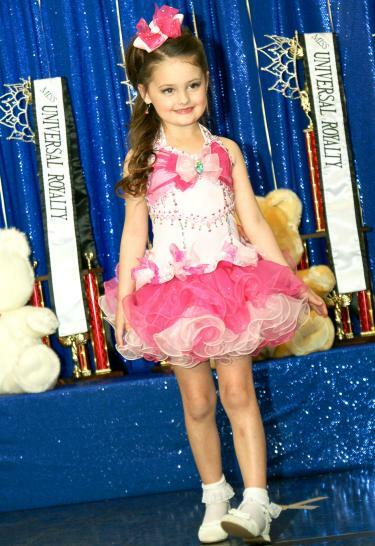 Toddlers and Tiaras brings us new pageant contestants each week. We get to know them and either love them or hate them. One thing is for sure: we see real, raw emotion on this show. We see devastated kids, harsh tantrums, spray tans at an inappropriately young age and tons of makeup being put on young children. Dance Moms is about real kids, their moms and their dance teacher. While there are obviously elements to Dance Moms that are very real, there are also some things that I believe are obviously fake. Take Cathy, for example. Does she really believe that daughter Vivi is super talented? Did she really think it was okay to improvise a dance in the middle of a performance? Did she really need to criticize Christi's wrinkles and nose for no reason? She feels just a bit too scripted to be real. Toddlers and Tiaras takes home the prize for believability. This is because we've seen some people that are just too out there to be fake. Take Ava's dad, for example. He cried when his young daughter didn't place in a pageant because that meant she didn't improve. I can also cite the example of Jamie Sterling, who rose to the ranks of most hated TV moms for the way she pitted twins AshLynn and BreAnne against each other. One of my favorite things about watching Toddlers and Tiaras is that many of the kids just are not talented. I like it the most when their moms truly believe that their kids are awesome when they're really not. I often wonder why some of the kids are even in pageants. Most kids are cute, to a degree, but some of them just don't have the 'it' factor. Take, for example, the pageant kids that look like they're snarling when they try to smile. And the kids who sing for their talent but are completely tone deaf. Not every kid is talented, so not every kid is good enough to win a beauty pageant. Most of the kids on Dance Moms are talented. Some are given more of a chance to shine than others, and some shine more naturally than others. I think even Vivi could have potential if she had the proper training. That being said, Brooke's acro routines are astounding, and Maddie and Mackenzie have amazing stage presence. The talent winner is Dance Moms. All of the kids (with the exception of Vivi-anne) are extremely talented and have the potential to be great dancers as they grow up. On Toddlers and Tiaras, we remember a few of the girls and boys, but many of them can easily fade from our memories. Of course, we'll probably remember Braxton and Alaska, but that's mostly because their mom was awful. Remember when she said that because her son is biracial, she prayed while she was pregnant that he had nice hair? Priorities! We may also remember Saryniti, in part due to her awful name and the fact that her stepmom said she was praying about something just about every fifteen seconds. On Dance Moms, we can connect to the cast because we see them week after week. This gives them a strong advantage against the Toddlers and Tiaras contestants. However, we don't get to know the girls that well on the show - we're more focused on Abby Lee's madness and the infighting between their moms. That being said, I think Dance Moms gives us more of a connection with the cast. We see a lot of determination from the girls, and you really want to root for them in a way that is not always present on Toddlers and Tiaras. As much as the moms who feature their kids on Toddlers and Tiaras are seeking fame, the odds of them finding it outside of the Toddlers and Tiaras franchise are slim. Eden Wood recently left the pageant circuit for Hollywood, and while she's a cute and talented kid, I'm not convinced that we'll see her in movies just yet. However, if anyone does make it, it will probably be her...but none of the others. The Dance Moms girls could actually land movie roles after this. I can see Maddie or Chloe starring as dancers in some kind of dramatic 'I'm finding myself' type of movie. You know, like the figure skaters who struggle to find their way or the gymnasts who have to decide between competing and having a normal life. I can also see the girls finding spots on Broadway. Dance Moms definitely has more potential to create celebrities than Toddlers and Tiaras. Since we are getting to know the girls over time, Dance Moms fans are likely to watch other things just because the girls are featured in them. First and foremost in the trainwreck category, the kids on Toddlers and Tiaras have way worse names than the kids on Dance Moms. In one episode, we met Mckenzie, Bayleigh and Kragen. We've also met someone named Chatham. But worst of all, we met Sparkal Queenz. You heard that right - a child was actually named Sparkal Queenz. Dance Moms brought us mostly normal names, with the exception of Vivi-anne. Kids are named Maddie, Chloe, Mackenzie (note that the spelling makes sense this time, Nia, Brooke and Paige. All correctly spelled and not made up names. Also, the Toddlers and Tiaras girls throw temper tantrums like it's nobody's business, whereas Abby Lee actually told her girls that they should only cry when someone dies or their arm is ripped off. It's a bit dramatic, but you hear a whole lot less whining from the dance girls when they have to put their makeup on. Toddlers and Tiaras wins by a landslide in the trainwreck category. While you really get to like some of the girls, there are way too many inappropriate outfits (like a cone bra on a kid), scream fests and briberies with Pixi Styx and Red Bulls to make this show anything less than a trainwreck. Toddlers and Tiaras has multi-season potential, obviously, because it's been on for several seasons already. And while I think it can continue for many more, viewership may dwindle as people realize that we're watching the same show week after week. Switch out the state, the girl and the stage mom, and you've got basically the same episode for seasons on end. Dance Moms has a future, but probably not the way it is now. We'd either have to see a different group of girls, a different studio or a change in the way the dancing and studio are run after a few seasons. Yes, the dances are beautiful, but there's only so long that Maddie and Chloe can battle it out onstage. Overall, Toddlers and Tiaras has more potential to stay on the air. With pageant moms clamoring to get their kids on the show, TLC can keep filming for years without spilling a lot of cash to film it. I can see Toddlers and Tiaras giving someone like Eden Wood a spin-off, but I don't see that having long term potential. Dance Moms, on the other hand, could let Maddie spin off into her quest to become a famous dancer. Or, Dance Moms could create a spin-off to feature another dance studio that we can compare to Abby's. Or, we could see Christi and Chloe finally take enough of Abby's madness and go to a new studio where she won't have to play second string. I think that Dance Moms has more spin-off potential. It's still new, so the producers can decide where to go with it and where to spin it off into a new show, should they choose to do so. Are both Toddlers and Tiaras and Dance Moms fun to watch? Absolutely. They're both strong shows that keep you stuck to the TV, even when you want to look away. And, as noted in the beginning of this post, while they are very similar, they're different enough that you still want to watch both of them.